If you see an error in the logs "Could not resolve host: github.com", you are screwed ! Haha no, just "sudo systemctl restart docker" , then "oc start-build --from-build=yourbuildid"
Error: Minor number must not contain leading zeroes "09"
it simply means that OpenShift developers are morons, and you have to wait the next release 1.5 for a fix. What a pathetic mess. It's an excellent book, highly recommended, Jeff Nickoloff is a great author. #this example is WRONG in the book! docker run -d --name namespaceA busybox:latest /bin/sh -c "sleep 30000"
docker run -d --name namespaceB busybox:latest /bin/sh -c "nc -l -p 0.0.0.0:80"
#"Created symlink from /etc/systemd/system/multi-user.target.wants/docker.service to /usr/lib/systemd/system/docker.service." 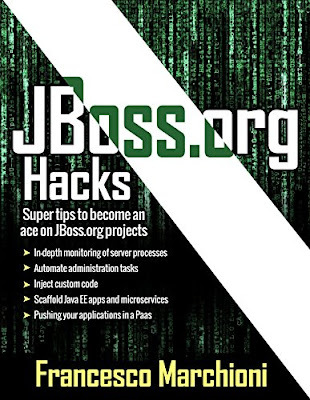 docker run -d ubuntu /bin/sh -c "while true; do echo hello world; date; sleep 2; done"
be aware that the Kindle edition is royally scr...wed up, missing ALL the sample script in the text... what a pity... maybe the PDF version available here http://www.itbuzzpress.com/ebooks/jboss-org-hacks.html is better, no idea. 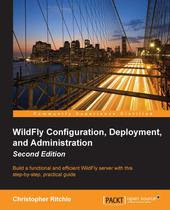 at the end of the book "WildFly Configuration, Deployment, and Administration - Second Edition" there is also a useful CLI cheat sheet.